As a society, we tend to value smiles. Especially smiles that are straight and symmetrical, with no chips or defects. We like evenly-spaced pearly whites. But the truth is, very few of us are born with a perfect smile. If you would like a better smile, consider cosmetic dentistry in Gilbert. Lifetime Family Dental offers many solutions for you that will build your confidence and help you feel better about your appearance. Here are some common problems that cosmetic dentistry can correct. Hey, accidents happen! But that’s no reason to suffer the discomfort and embarrassment of chipped or cracked teeth. There are several approaches we use to fix damaged teeth. Porcelain veneers are a popular option that work to repair chips and cracks. They are essentially a false front for a tooth and are durable, natural looking, and long-lasting. Like porcelain veneers, dental bonding is another approach for fixing chips and cracks. A resin is applied and shaped to repair the tooth, then hardened through a special light. The procedure is usually completed in one session, and you leave the office with a great looking tooth. Porcelain veneers and dental bonding are also used to close small gaps between your teeth. Veneers are a great solution because they are strong and can take more pressure than resin bonding. The veneer procedure will require several visits, while the bonding process is usually done in one. The result from both of these procedures is a more even appearance when you smile and when you speak. When your teeth are quite uneven, the answer to correcting them is orthodontia (and yes, even adults can have braces). But for smaller problems where one or several teeth are crooked, a better solution is often a porcelain crown. The crown is a handcrafted cap that fits over the natural tooth. It is virtually indistinguishable from a natural tooth and is just as strong and durable. The procedure may require two visits, but it’s a great investment for a better smile. Today, more than in the past, it is easy to have a whiter, brighter smile. Tooth whitening can be done at home or in our office. The application is similar in both cases. The home treatment usually takes three to six weeks, while the professional office treatment takes only one hour. Be careful if you are considering over-the-counter teeth whitening kits. They are not as effective and often produce uneven and disappointing results. These are a few of the most common problems that cosmetic dentistry will correct. Cosmetic dentistry in Gilbert, AZ is available at Lifetime Family Dental. We would love to consult with you to determine the best course of action for you. 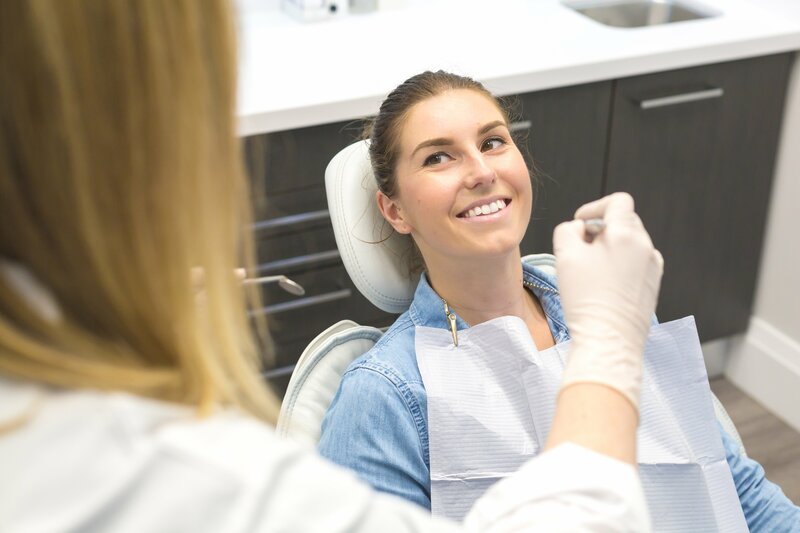 We’re also experts in all aspects of restorative dentistry, like dental implants and bridges, which are more intensive solutions for missing teeth. Whether you need cosmetic or restorative care, we invite you to come and see us. We want to help you look your best and be your healthiest!